Editor's note: Social media is a tremendous way for students to engage in meaningful work and causes. This is why it is so important for educators to be in the know when it comes to guiding and supporting all students in making a difference using this powerful resource. In the post below Stephanie Rivera shares some students worth following. Students are waking up and using social media to make their voices heard for their rights, especially when it comes to education. Two students, Zak Malamed and Allison Wu took initiative and partnered up with Dell Education to revolutionize the way students use the social media site, Twitter. Every Monday night at 8:30 EST, students, and those who support them, from all across the globe join in to discuss issues in education with the hashtag #stuvoice (previously #studentvoice). 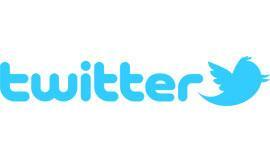 To learn more about what a TwitterChat is, check this out. With that being said, one #stuvoice supporter, Lisa Nielsen, suggested we compile a list of the Twitter handles of those who represent\support student voices. Zak Malamed went ahead and made a list on Twitter, and the below list will also bring attention to some youth who deserve to be heard. Just click the student below and it will direct you to their Twitter page. If any students\student voice supporters would like to be added to this list, send me a Tweet! Should the new math be financial literacy? The hottest posts that everyone is talking about. The rigor (?) of kindergarten! Cell Phones: Tools of engagement or distraction?